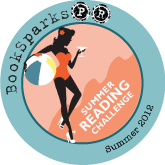 The BookSparks PR Summer Reading Challenge is back! It’s a summer’s worth of great reading and the chance to win prizes. What’s not to love about that? For information, go here. PS. My upcoming novel, A Girl Like You, is on the list of books to read, so yes, you should definitely join the challenge!